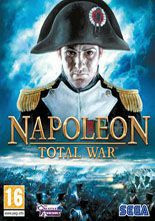 Napoleon: Total War™ is the new chapter in the critically acclaimed Total War™ series and opens up a new narrative layer to the genre-defining franchise. From the early Italian campaign to the battle of Waterloo, Napoleon covers two decades of relentless battles, a backdrop of a world in flames against which the story of an extraordinary military career unfolds. Napoleon: Total War defines a new standard within the genre with exciting characters and a cinematic narrative, mind-blowing battle sequences and an unrivaled mix of turn-based and real-time strategy. Take command and lead your armies on land and sea over three campaigns: Italy, Egypt and Mastery of Europe. The seamless mix of objective-based missions and sandbox experience makes this the most complete Total War experience to date.